Bull Horn handmade komboloi created with 23+2 natural Grey Bull horn in barrel shape beads of 11x17mm dimensions, with sterling silver .925 metals, 40cm total length, and 47g total weight. It comes with a gift vintage pouch. 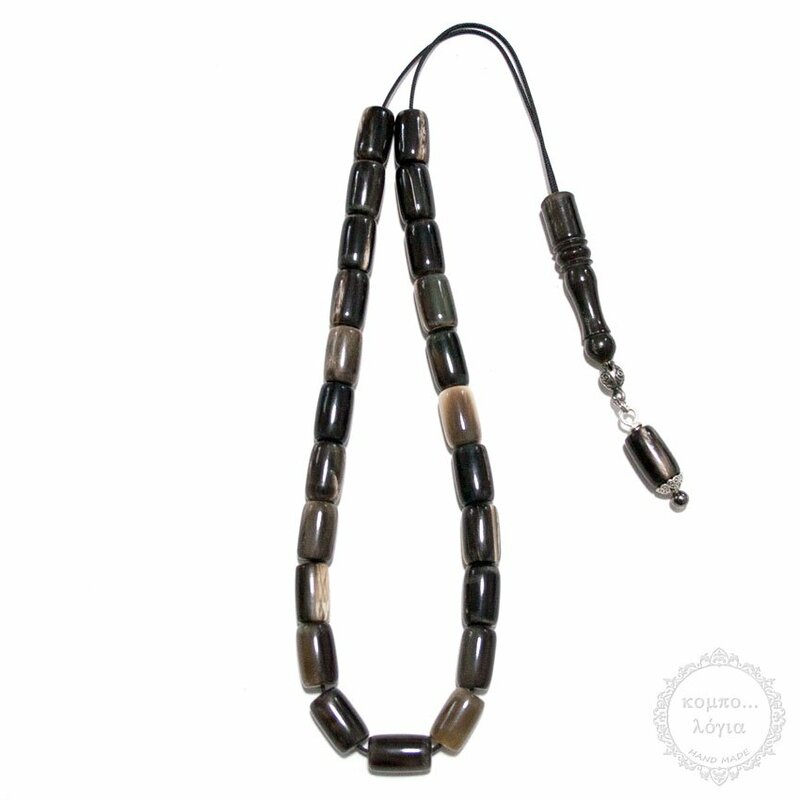 A unique Handmade komboloi design with nature Grey Bull horn beads.